David E. Sadava is the Pritzker Family Foundation Professor of Biology, Emeritus, at the Keck Science Center of Claremont McKenna, Pitzer, and Scripps, three of The Claremont Colleges. In addition, he is Adjunct Professor of Cancer Cell Biology at the City of Hope Medical Center. Twice winner of the Huntoon Award for superior teaching, Dr. Sadava has taught courses on introductory biology, biotechnology, biochemistry, cell biology, molecular biology, plant biology, and cancer biology. 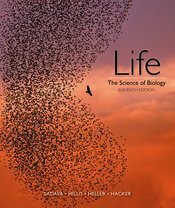 In addition to Life: The Science of Biology, he is the author or coauthor of books on cell biology and on plants, genes, and crop biotechnology. His research has resulted in many papers coauthored with his students, on topics ranging from plant biochemistry to pharmacology of narcotic analgesics to human genetic diseases. For the past 15 years, he has investigated multi-drug resistance in human small-cell lung carcinoma cells with a view to understanding and overcoming this clinical challenge. At the City of Hope, his current work focuses on new anti-cancer agents from plants. 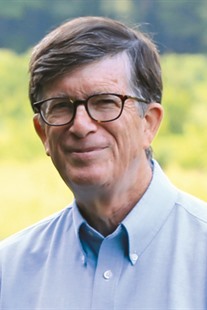 David M. Hillis is the Alfred W. Roark Centennial Professor in Integrative Biology at the University of Texas at Austin, where he also has directed the Center for Computational Biology and Bioinformatics, the Biodiversity Center, and the School of Biological Sciences. Dr. Hillis has taught courses in introductory biology, genetics, evolution, systematics, and biodiversity. He is a member of the National Academy of Sciences and the American Academy of Arts and Sciences. He was awarded a John D. and Catherine T. MacArthur Fellowship, and has served as President of the Society for the Study of Evolution and of the Society of Systematic Biologists. He served on the National Research Council committee that wrote the report BIO 2010: Transforming Undergraduate Biology Education for Research Biologists, and currently serves on the Executive Committee of the National Academies Scientific Teaching Alliance. H. Craig Heller is the Lorry I. Lokey/Business Wire Professor in Biological Sciences and Human Biology at Stanford University. 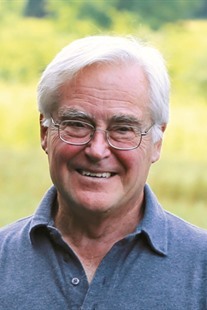 He has taught in the core biology courses at Stanford since 1972 and served as Director of the Program in Human Biology, Chairman of the Biolo-gical Sciences Department, and Associate Dean of Research. Dr. Heller is a fellow of the American Association for the Advancement of Science and a recipient of the Walter J. Gores Award for excellence in teaching and the Kenneth Cuthberson Award for Exceptional Service to Stanford University. His research is on the neurobiology of sleep and circadian rhythms, mammalian hibernation, the regulation of body temperature, the physiology of human performance, and the neurobiology of learning. He has done research on a huge variety of animals and physiological problems, including sleeping kangaroo rats, diving seals, hibernating bears, photo-periodic hamsters, and exercising athletes. 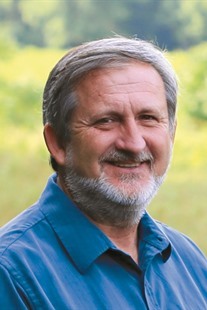 Dr. Heller has extended his enthusiasm for promoting active learning via the development of a two-year curriculum in human biology for the middle grades, through the production of Virtual Labs—interactive computer-based modules to teach physiology. Sally D. Hacker is Professor at Oregon State University where she has been a faculty member since 2004. She has taught courses in introductory ecology, community ecology, invasion biology, field ecology, and marine biology. She was awarded the Murray F. Buell Award by the Ecological Society of America and the Young Investigator Prize by the American Society of Naturalists. Dr. Hacker’s research explores the structure, function, and services of natural and managed ecosystems under varying contexts of species interactions and global change. She has conducted research with plants and animals in rocky intertidal, salt marsh, seagrass, and coastal dune ecosystems. Her work has most recently focused on the protective role of dune ecosystems in mitigating coastal vulnerability due to climate change. 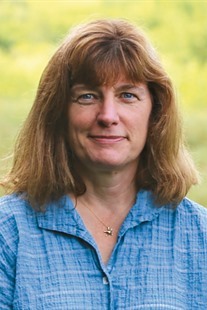 In addition to the textbooks Life: The Science of Biology and Ecology (Sinauer Associates), she is author or coauthor on numerous articles and book chapters exploring community ecology, species interactions, marine invasions, and ecosystem services important to coastal management. She is particularly interested in promoting active and experiential learning for students interested in ecology and field-emersion experiences.